SonexAus – controlstickmod Due to a minor problem with the Dual Stick Control frame having some dimensional challenges, I experienced fowling on the spar tunnel by the RH stick. This was apparent with full forward stick (frame 1/16" from spar tunnel as noted in the plans), and attempting full left or right stick deflection. Some judicous grinding of the stick attach bolt and a smaller nut fixed the problem. 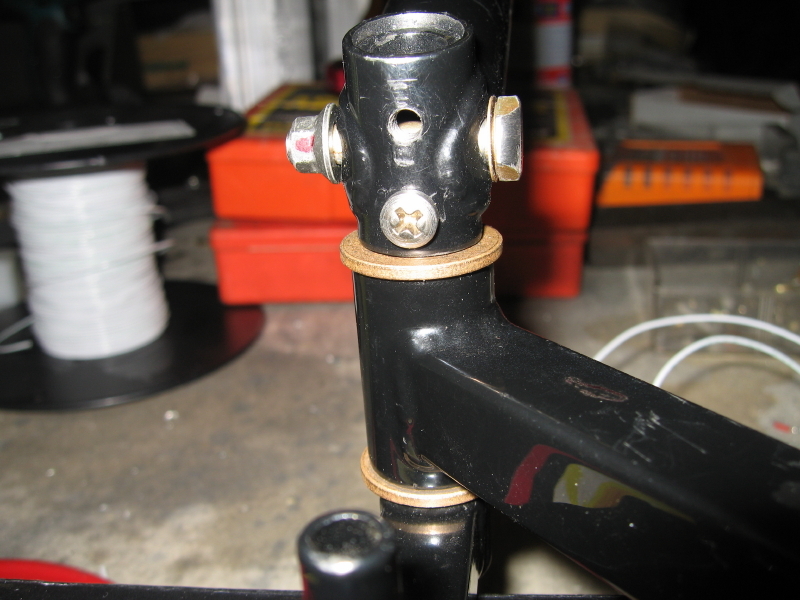 While I was at it, I fixed the stick looseness on the horn by tapping a 10/32 hole into the horn, and fitting the screw. I tried fitting close tolerance AN4 bolts, overtightening the bolt etc nothing worked to stop the annoying slop in the stick. Note: extra hole is due to the screw also contacting the spar tunnel, had to move it back! 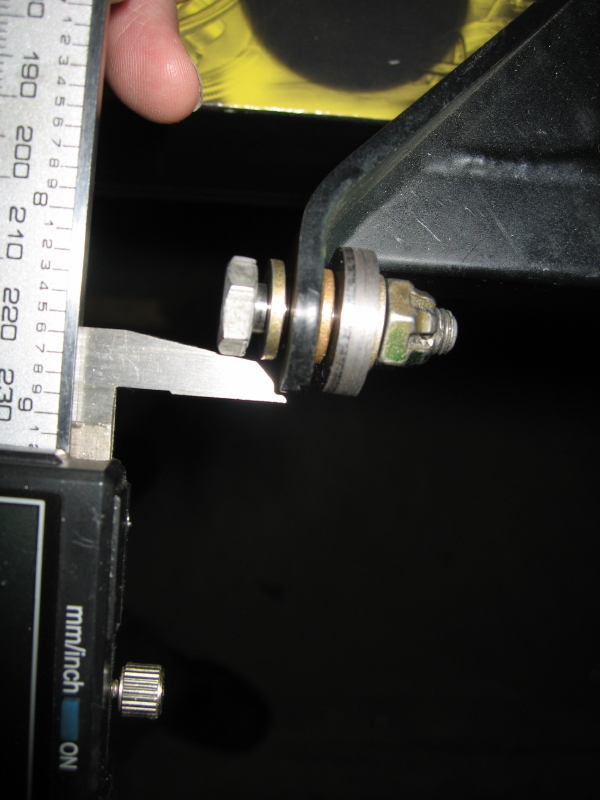 In my installation, the issue is that caused the spar contact is that the RH side of the frame is shorter than the left, the amount is about 2.5 mm measured from the mount tab edge (shown) to the bottom of the horn bushing tube.